Manali places to visit– There is nothing better than embarking on a journey to some pleasant location, away from the crowded cities. From the very beginning, mankind has been fascinated with mountains since they bestow us with some of the best experiences of life. Who wouldn’t love to stand on a piece of land where the sky kisses the mountains peaks, scattered, hazy clouds cover the sky, picturesque surroundings beckon us, and flowery meadows add to the allure? These are the reasons why one place in India attracts millions of tourists every year. Manali – a beautiful paradise in the Himalayan range, popularly known as India’s mini Switzerland. It lies in Himachal Pradesh at an elevation of 2050m and 270kms away from Delhi. This place needs no more introduction and is one of the most sought-after destinations for adventure seekers, vagabonds, trekkers, backpackers, and even newly wedded couples. To get rid of the scorching heat of summer, flocks of people head to Manali and let the cool wind caress their soul while they catch sight of beautiful mother nature at its best. During any time of the year, you can see honeymooners and couples taking a stroll, admiring the grandeur with their hands clasped. To stir up the romantic essence, here we bring places to visit in and around Manali for a honeymoon. After all, its a one-time affair so why not make the things turn out truly magical with your better half. We recommend these Manali Honeymoon Packages for you. This serene and breath-taking valley derived its name from two words – Solang (a village nearby) and Nullah or Nallah (a water stream). 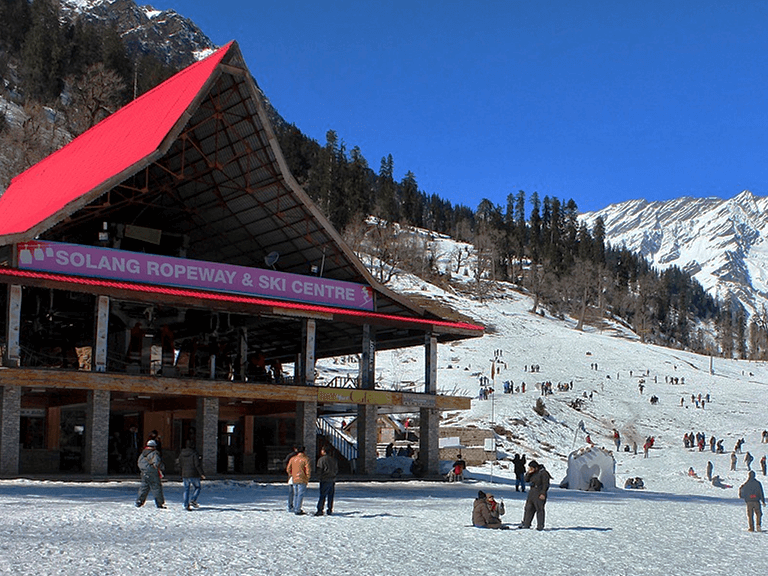 Located at 13 km (30 mins) from Manali town amidst the Beas Kund and Solang Village, it is popularly known as the snow point and serves as the hotspot for several exciting winters as well as summer sports. During winters, the snow-capped mountains and awe-inspiring beauty of the mighty giant Himalayas can leave you stunned. Located at an elevation of 2560 meters from sea level, it turns out to be the most popular trekking spot in Himachal Pradesh. The views from the valley are worth capturing. A long plain covered with snow and ice, Solang Valley is an ideal venue for Winter Skiing Festival that happens annually. Various workshops and classes are held for all the travellers here. Even the Atal Bihari Vajpayee Institute of Mountaineering and Allied Sports guest house is located here. Crystal clear white snow lets you unveil your playful side by playing in the snow. There is a myriad of things you can do here to feel the thrill. Don’t forget to enjoy the Chinese food from roadside stalls. Preferred by – Couples, nature lovers, photographers, adventure seekers and people of all age. Things to do: Pony rides, Yak rides, Zorbing, Quad bike ride, Paragliding, Skiing (winter), Parachuting, Horse riding and visit Lord Shiva Temple on top of the hill. What can be better than seeking the blessings of the Lord for couples out on a honeymoon? The famous Hidimba or Hadimba temple of Manali, also famous as Dhungari Temple among locals, was constructed in 1553 and it’s named after the demon wife of Bhima. The fence is covered by big cedar and deodar trees. The temple is famous for its four-tiered pagoda type structure which resonates with Japanese culture and the doorway contains idols of deities. It’s built on a large rock top. The temple has a unique architecture with equal religious significance. It’s said that the king was so surprised by the beauty of Hidimba Temple that he ordered to cut the hand of the artist who constructed it so that he can never make such a masterpiece again. Be ready to pose with the rabbits, take yak rides and enjoy other pieces of attraction. Just 70 meters away, another monument exists in the memory of Gatotkacha who was their child. During Navaratri devotees from all over Manali come here to worship Hidimba Devi. A 3-day long fair is held here to celebrate the birthday of the Goddess. If you are visiting Manali during May then don’t forget to be the part of this grand event. How to reach: Located at a distance of 2.5 km from Manali. You can board a bus or taxi or walk down. Preferred by – Solitude lovers, photo lovers, religious people, and newly wedded couples. Rohtang Pass is popularly known as the Snow Point of Manali and a real paradise for snow lovers. Located at 51km, it is 2-3 hours from Manali. It links the valley of Kullu with Spiti and Lahaul that are also famous tourist destinations in India. Please get a pass one day before a visit here. Over 25 lakh tourists come here annually to get a glance of snow-covered hilltops, giant glaciers, Chandra river and play winter sports. It lies at a height of 3979 meters. From October to April, it remains closed. Being a popular destination in Manali to visit, Rohtang Pass remains full of traffic during peak season. For thrill seekers, there are numerous activities to do like skiing, mountain biking, snow scooter and enjoy picturesque views. On the way to Rohtang Pass, 16kms from Manali, Rahala waterfall is located, which falls from a height of 2500 meters and a view is worth capturing. Little ahead is Sonapani Glacier and Gaypan Twin Peaks, known for their breath-taking view of Kullu valley. The name Rohtang means the ground of corpses, so beware while visiting and read up all the safety instructions carefully beforehand. Preferred by – Nature lovers, Mountain Lovers, Thrill seekers, Adventurers, Photographers, and Backpackers. Your trip to Manali is incomplete without visiting the famous Manu Maharishi Temple. Its situated 3kms away from the crowded Mall road in Old Manali on river Beas bank. The temple is dedicated to Sage Manu who is renowned as the creator of human life on earth after the whole world finished off due to the deluge. Even Manali got its name after him. The temple is a built-in Pagoda style and serves as a place of great religious as well as mythological importance, and many folktales are linked with it; hence a must visit for everyone. Moreover, it’s the only temple dedicated to Manu in India. The lush green trees surrounding the temple offer a pleasing view and pacifies the soul. Visit Manu temple to get an out of world experience. Preferred by – Pilgrims, newly wedded couples, Architects, locales, Photographers, Peace seekers, Nature lovers. Things to do – Visit the main market nearby, click photographs, enjoy exotic food, praise greenery around and enjoy a view of the Beas river. At the height of 4000m, the mighty holy Beas River passes through Kullu Manali before reaching Punjab. It originates from Vyas or Beas Kund (Dhauladhar Range) which is also a favorite tourist spot in Manali. Historically, here the sage Vyas used to take a bath daily. Hence, it’s a sacred place for Hindus. The Beas kund is an igloo-like structure made of stones. The rocky terrain of the area with abundant vegetation of paddy and maize make it worth visiting by foot. 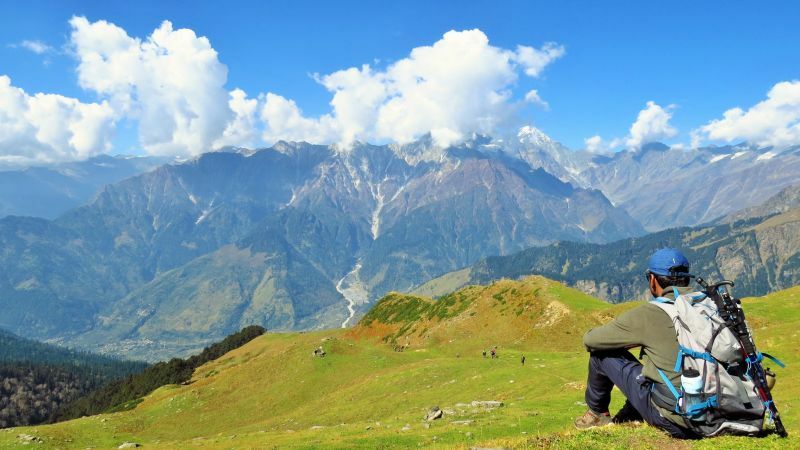 If you want to do short trekking, then Beas kund is better as it serves various water, camping and trekking sports. Enjoy the chilled fresh air, crystal clear water and splendid landscapes. Here numerous tourists come every year to enjoy mother nature and see the evergreen charm of Beas river. Various other worth visiting tourist spots are also located nearby like Manali Sanctuary, Naggar Village, Kothi, The Castle Manali, Pandoh Dam, and Arjun Gufa. Things to do – River rafting (April to June and September to October), Trekking, Camping, Mountain Rappeling, Paragliding, River crossings, such as the visit nearby peaks Shitidhar, Friendship, Ladakhi, and Hanuman Tibba. Ready to relax and beat chilly weather? Vashist Temple, located on the other side of Beas river in village Vashist, is 3 km away from Manali. The pyramid-shaped Vashist temple is dedicated to Vashist muni, a renowned sage who stayed here. Dip your feet or take a bath under the hot springs to get rid of the fatigue and start the journey again. Seek blessings of Saint Vashisht and have a happy married life ahead. The hot water spring is known for its medicinal properties as it contains sulphur and separate bath sections are available for men and women. You can even enjoy a Turkish style shower. The place is worth stopping for if you are interested in activities like Tarot, Reiki, Past life Regression, Healing and in hearing mythological tales from locals. Another popular location in Manali to experience some thrill with relaxation. Club House Manali is a haven for the travellers, located nearby Manalsu Nallah. Its construction reflects British architecture and currently managed by Himachal Pradesh Tourism Development Corporation (HPTDC). It’s an entertainment zone with many fun-filled indoor as well as outdoor activities like table tennis, carrom, pool, skating, river crossing, etc. to try out. Head to this place for relaxing by bus or taxi. If you don’t want to play then grab any book from in house library and admire the serene beauty of river that flows nearby. Don’t forget to have a cup of tea or coffee with other delicacies from in house restaurant. Things to do – Enjoy lip-smacking food, table tennis, carrom, skating, boating, river crossing, go-karting, various other games, have tea or coffee and read books in the library. 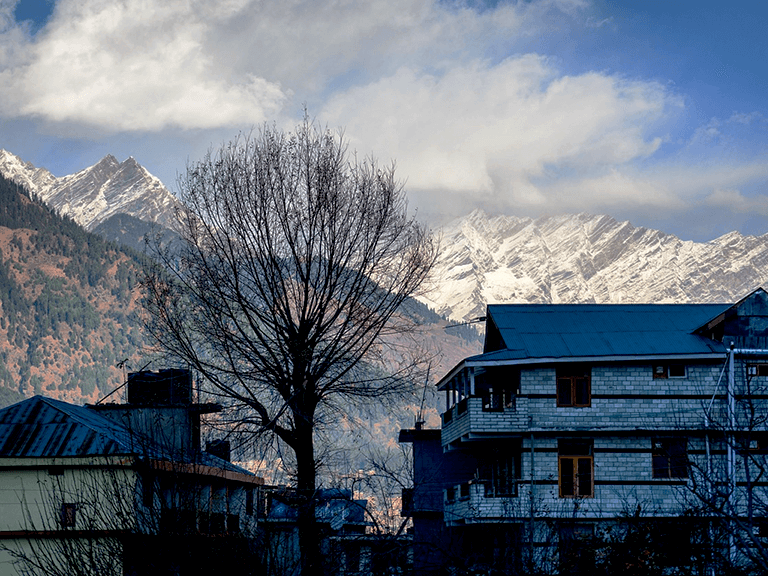 How to reach – Just 2 km from Manali, go by walk or hire a taxi. Located behind the Vashist village, it can be reached by short trek. If you want to visit the most unexplored and untouched place in Manali, then Jogini Falls is the one. It is also famous by the name of Jogni and Jungi Falls. As soon as you reach here, you will get sight of the crystal-clear waterfall coming down from a hilltop with small droplets caressing you and filling your ears with musical sound. Lies amidst the lush green mountains, fog touching the peaks, orchards on a side, pine forest with freshly chilled water falling down, what an unforgettable experience! Take a dip into the cool water to feel Goosebumps down the spine and embrace the surroundings. This place is indeed an escape from the hustle bustle of the city into the lap of mother nature. 16 km away from Manali lies another waterfall, famous by the name of Rahalla and Rehala falls and counted as one of the most stunning places to visit in Kullu Manali. Click candid shots at both locations to cherish the memories later and keep admiring the picturesque beauty. How to reach – By walking or trekking. Things to do – Enjoy luxuriant ambiance, take a dip, click shots during dusk and dawn and don’t forget to have food from nearby small restaurants and guesthouses along the way. Most importantly feel the divine nature. Chandrakhani Pass, also known as Chanderkhani Pass, is located at a height of 3660m in Pin Parbati Range. An ideal destination for naive trekkers, the track is lined up with mesmerizing deodar, golden oak, wild berry, walnut and blue pine trees who accompany you till you reach the destination. Chanderkhani Pass serves as the link between famous Malana village and scenic valley of Kullu. Malana village itself has a rich culture and is one of the most sought-after destinations. It requires a walk-through snow-laden pavement which is something extraordinary for a naive trekker. The whole place is covered with breath-taking flora and is the window to large Himalayan mountains that accompany you throughout the journey. Get sight of the majestic mighty Himalayan peaks that bestow you with a unique experience. Visit now to get an insight into traditional Himalayan villages. The abode of Gods, this destination is loaded with numerous temples of great religious importance. Locals, as well as the devotees from around the world, come here to seek the blessings. Located at a distance of 40kms from Manali, this paradise has lots on its platter to offer. Kullu treats every vagabond with breath-taking views of mountains and the valley fenced with pine as well as deodar trees. The whole place is encompassed with lush green surroundings, clear rivers, and moderate climate. This site is pure bliss for everyone who comes here. There are myriad of places to visit in Kullu with your beloved and explore the charm of Kullu Manali. Some of the best ones are the great Himalayan National Park, Bijli Mahadev temple, Raghunath temple, manikaran, pandoh dam, friendship peak, bhrigu lake, Parashar lake, trithan valley, bara banghal, Maa Sharvari Temple and many more. Avoid going during monsoon season and best season is summer when the climate is pleasing. Things to do – Sightseeing, adventure activities, rafting, trekking, mountaineering and click candid shots. Are you a wildlife lover? Yes, then don’t miss visiting Manali Wildlife Sanctuary during your trip to Manali. Thick cedar trees cover the park and provide dense shade to everyone to have some good time. While embracing the exotic flora and fauna, you can have a good gala time here. You can come here easily by walking. Undoubtedly Manali Sanctuary is a paradise and lures immense nature lovers every year. It covers an area of 31.80 sq. km and is home to some endangered species like Flying Fox, Himalayan Yellow Throated Marten, Barking Deer, Black Bear, etc. You can even get a view of mountains covered with white dazzling snow. It’s an ideal spot for couples as well as honeymooners who want to experience solitude in nature’s lap. Preferred by – Trekkers, nature lovers, couples, honeymooners, solitude seekers, wildlife lovers, and adventurers. Things to do – Take a stroll, hiking, trekking, meditation, capture candid shots and see the very uncommon species here. Every popular hill station in India has an unavoidable road called the MALL ROAD which is often busy during any time of the day. Here one can spot the lovers and honeymooners taking a stroll. On both sides, various shops are there from where one can buy Himalayan traditional garments, plenty of stalls to have lip-smacking snacks, ice cream and a myriad of things to do. You can even purchase wooden handicrafts or woolen items from here to back home. Overcrowded with people, it has family restaurants as well, and various hawkers can be seen here shouting at the top of their voice. Are you craving for some delicious food? Then visit the Mall Road Manali immediately. Moreover, nearby Van Vihar – a lush green national park – is located where you can go and sit under the shade of big deodar trees. Timings are 8 am to 7 pm (summer), and 8 am to 5 pm (winter). Nearby lake provides boating option at Rs 30 per head (adult). Another place nearby is Himalayan Nyingmapa Buddhist Temple which is an ancient pagoda style monastery. It’s a famous tourist spot in Manali and worth visiting. Catch sight of 2ft tall idol of Buddha and take a sneak peek into the life of monks. Things to do – Shopping, eating, spending leisure time, go to nearby places, etc. To let you have an enjoyable and comfortable stay at Manali, the hotel and tourism industry is also blooming at a rapid rate. People of every aspect come here, and the Himachal Tourism Administration takes good care of all with a warm welcome. We recommend Manali for India Honeymoon goers who wish to have a memorable experience. Do you think the list is finished? Not yet; there are plenty of other best places to visit in Manali for couples. With so many options around, this place serves everyone – from couples to religious people to adventurers. So, what are you waiting for? Pack up your bags now, select the best package according to your budget and pay a visit to this one of the most popular hill stations in India. Manali is calling you. 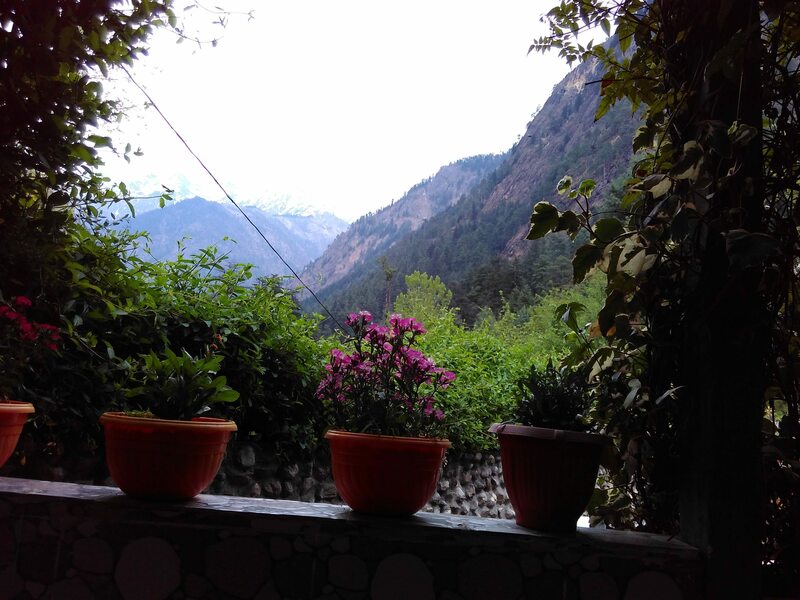 Dear readers, I hope the blog post answered some of the questions about Places to visit in Manali. Do you still have a question? Feel free to comment or rate us by clicking the 5 stars.